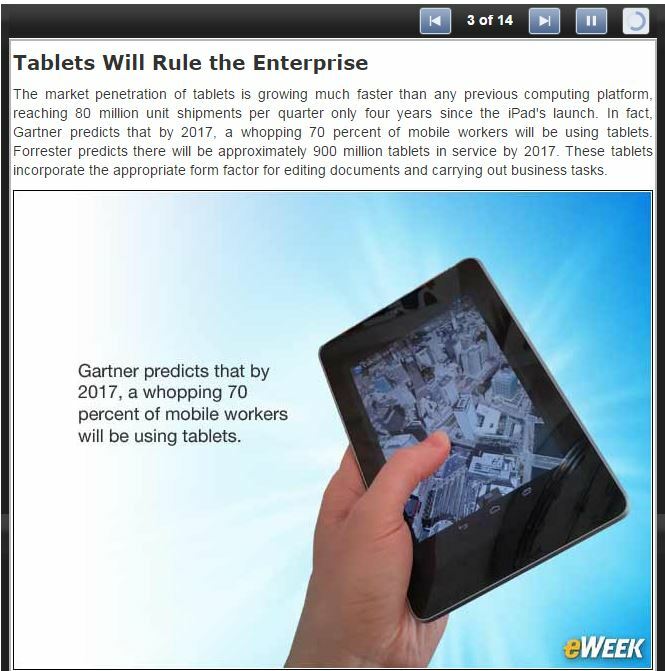 We recently came across this slide from eWeek regarding the use of tablets. We see it the same way based on what our customers are telling us. They are looking for electronic clipboards for the 2.5 billion workers world wide who work primarily standing up.